This paper revisits the seminal early work of the late Albert Hirschman on development strategy and his critique of the “big push” strategies in order to elucidate the current debates about conditionality-based aid and comprehensive development programs. This paper, published in a Korean English-language journal, argued for the logic of commitment in the design of a firm rather than the logic of exit. The contrasts between these two logics is explored in many fields. After the dissent-motivated departures of Joseph Stiglitz, Ravi Kanbur, and now Bill Easterly, even “the most casual observer” can begin to “connect the dots” and see that the Bank is having a problem handling dissent and criticism coming from internal sources. This editorial in the World Bank Staff Association Newsletter traces the problem to the organizational stance of taking “Official Views” on the complex questions of development–thereby mixing power and truth to the detriment of the latter. This note argues that the World Bank should base the Knowledge Bank on the way human learn, not the way insects learn. This survey of the literature on migration and development was my last written product before retiring from the World Bank. But the results of years of documented experience is that migration leads to poverty alleviation (remittances) but not development. This is not the message that the Bank wants to hear so the results are largely ignored. Should Development Agencies Have Official Views? The major development agencies have ex cathedra “Official Views” (with varying degrees of explicitness) on the complex and controversial questions of development. At the same time, knowledge is now more than ever recognized as key to development—in the idea of a “knowledge bank” or knowledge-based development assistance. I argue that these two practices are in direct conflict—much as making Lysenko’s views as “Official Soviet Science” was in conflict with the progress of the science of genetics in the Soviet Union. When an agency attaches its “brand name” to certain Official Views, then it is very difficult for the agency to also be a learning organization or to foster genuine learning in the clients. This is a presis of my book Helping People Help Themselves: From the World Bank to an Alternative Philosophy of Development Assistance. (U. of Michigan Press, 2005) I explore several principles or themes of a theory of autonomy-compatible assistance and show how these themes arise in the work of various authors in rather different fields. 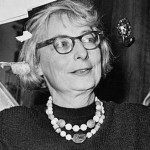 Jane Jacobs is best known as a writer about cities and as a vigorous critic of urban planning. The purpose of this paper is to suggest that she should be read as a writer on economic development who focuses on cities as the principal sites of development. The recently upsurge of interest in migration policies and development is taken as the entry point into her work, e.g., to explain why “poverty reduction” through remittances will tend to be nondevelopmental. Her ecologically-inspired “tangled bank” conception of development as growth through differentiation is used to elucidate a number of developmental issues. It also shows how the “spin-off conundrum” of multiproduct diversification is important to industrial development policies. Several examples are outlined of how that problem has been approached.